Colonel Kenneth W. Seymour (U.S Army RET), age 84, entered into eternal rest on June 23, 2017 at the home of his daughter Rebecca ,under the care of Hospice of Savannah and surrounded by his family. He was a loving husband, Father, grandfather and great- grandfather. He is the son of Luther Doyle Sheriff and Bertha Lee Seymour Jones of Orangeburg, SC. He was born August 13, 1932 in Charleston, South Carolina. He grew up in Orangeburg, SC. He joined the U.S. Marine Corps as an E-1, Pvt. on February 25, 1947. After serving three years in the Marines, he joined the U.S. Army. With four years in the Army and a total of seven years enlisted with the rank of Sergeant First Class (E-7) he was then was sent to Officer Candidate School in June 1953 at Fort Riley, Kansas. Upon successful completion he was commissioned Second Lieutenant, Ordnance Corp. After 33 years of military service he retired from the military with the rank of Colonel. He is survived by his four daughters: Nancy Seymour Solomon (Craig Trabeaux) of Boca Raton, Florida, Karen Seymour (Russell Block) of Daphne, Alabama, Rebecca Rodriquez of Savannah, Georgia, and Joanne Seymour (Murray Klugman) of Tybee Island, Georgia; two sisters: Betty Mae Jones Brandenberg of Pensacola, Florida and Betty Sue Sheriff Sutton of Rockledge, Florida; six grandchildren: Carlin Conleay Dixon (John) of Ft Meade, Maryland, Gary Michael Conleay (Katie), of Savannah, Georgia, Kenneth A. Conleay (Erika) of Macon, Georgia, Kasey Varnado (Ryan) of Baton Rouge, La, Rachel Rodriquez of Loranger, La. and Ashley Rodriquez of Kennessaw, GA, and ten great- grandchildren: Hunter and Hailey Wingrove, Ava Grace Dixon, Brody Dixon, Audrey Dixon, John Luke Dixon, Cordyn Conleay, Campbel Conleay, Riley Clark, Wyatt Mounce and soon to arrive Caroline Elizabeth Conleay. Proceeded in death by his loving wife of 63 years, Elizabeth Seymour; daughter, Suzanne Seymour; parents, Bertha Lee Seymour Jones and Luther Doyle Sheriff; brother, John Seymour; Paternal grandmother, Nancy Statham and grandfather, Edgar Clarence Seymour. 2006, 2004, 2003, 2002, 2001 & 2000: Chairman, Reviewing Stand, Veterans Day Parade Member . The Savannah Area Chamber of Commerce Military Affairs Council Member. Domicillary Care Homeless Veterans Program. 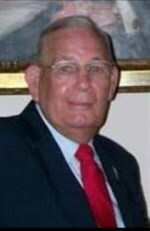 Past State Judge Advocate, Department of Georgia Military Order of the The World Wars, Master Freemasonry 32 Degree for 60 years. The family will receive friends from 4 to 6 o’clock on Monday, June 26, 2017 at Gamble Funeral Service – 410 Stephenson Avenue. The funeral service will be held at 6 o’clock in the chapel conducted by Pastor Michael Locklear. Interment will be held at 11 o’clock Tuesday, June 27, 2017, at Memorial Park Cemetery in Orangeburg, South Carolina, conducted by Gary Vance Conleay. Pallbearers are Gary Michael Conleay, Kenneth Allen Conleay, Hunter Wingrove, John Dixon, Michael Meto Allen, Gary Shot Allen, Joey Brandenburg, Charlie Pace, Ladale Thompson and Daryl Roberston. Honorary pallbearers will be Gary Allen. The family would like to honor “The Colonel’s” special caregivers that have become part of the family: Michelle Chisholm, Tanesa Smith, Diane Bruce, Betty Faggin, and Melissa McGinn. The family would also like to thank Liz Maher and staff of Hospice of Savannah. The lord gave us his life but someday he wants it back, Not saying it’s a good thing as far as we may know it to be here on earth. But it’s also not a bad thing either but a beautiful thing. All angels eventually go home. I am honored to have known an angel such as Mr. Seymour. He will truly be missed. Now what? Only as he would say ! Now what? The Answer- Don’t cry for me as I held his hand through the most horrific time of his life. Don’t cry for me expression were on his face as his last breaths left his lifeless body. The T.V near the bedside table playing spiritual music shuts off! I could here my (Buddy) the nick name I gave to him voice speaking to me. I am okay SMILE I am with the Lord. I love you all.. The Answer- Don’t cry for me as I held his hand through the most horrific time of his life. Don’t cry for me expression were on his face as his last breaths left his lifeless body. The T.V near the bedside table playing spiritual music shuts off! I could hear my (Buddy) the nick name I gave to him voice speaking to me. I am okay SMILE I am with the Lord. I love you all..
Ken will be sorely missed by his friends at Senior Friendship Days at Wilmington Island Untied Methodist Church. He and Michelle were a bright spot each Wednesday that they could come. We never will forget his war stories and his kind devotion to his wife, Becky. Being “fired” on numerous occasions to only be hired again immediately. Our caregiver/client relationship has officially ended effective Friday. I’m going to miss you! Our talks in the back yard about his wife, four little girls and his military career. We both spent time at Fort Riley, Kansas. We both agreed the post had the worst Commissary at the time each of us were there.